Want Longer, Stronger, Healthier Hair? Our Kerotin Hair Growth Vitamins are for those who want longer, stronger hair without having to spend thousands of dollars on expensive shampoos and messy oils. Kerotin Hair Growth Formula delivers results for women who struggle with dry, damaged hair in an easy to take, all-natural vegetable capsule. Rejuvenate damaged, dry, and frizzy hair from the inside out with just one bottle. 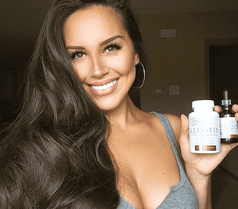 Simply take two nutrient-packed capsules daily and relax, knowing that you’re on your way to growing the long, luscious hair of your dreams. Kerotin Hair Growth Vitamins allow your hair to grow to its fullest potential with all-natural ingredients. You Won’t Believe the Transformation! 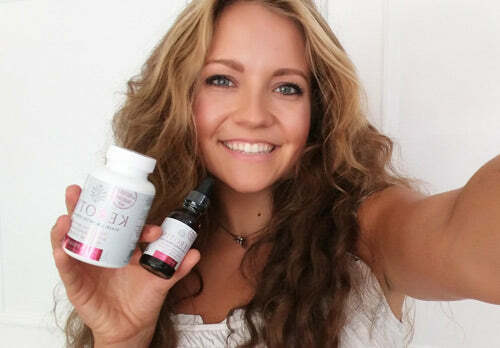 Kerotin Hair Growth Vitamins will transform your hair in as little as 4-weeks of daily use. The biggest bang for your buck to speed up hair growth! Thousands of our customers have experienced truly unbelievable results - and you can too! Kerotin Hair Growth Vitamins are part of our 4-piece Ultimate Hair Care System, a comprehensive package for growing the hair of your dreams! As a dietary supplement, take two (2) capsules on a daily basis. It is recommend to take in the morning with a glass of water or beverage of your choice. Our No Questions Asked 30-Day Money-Back Guarantee provides a hassle free way to try the product and feel the benefits. If you are unhappy for any reason simply let us know and we will provide you a complete refund up to 30 days from the time of purchase no questions asked. Real Reviews from Women Like You! Take a selfie with our product and email it to support@kerotin.com to win!